We have just finished a fabulous unit about mammals. One thing the kiddos look forward to with each of our unit studies now, is our learning time room bookshelves, filled with new books to read (from the library). There wasn't a day that went by that I didn't catch someone in the learning time room after learning was over, reading a book from our shelves. If you're planning to learn about mammals, here are our favorite books! 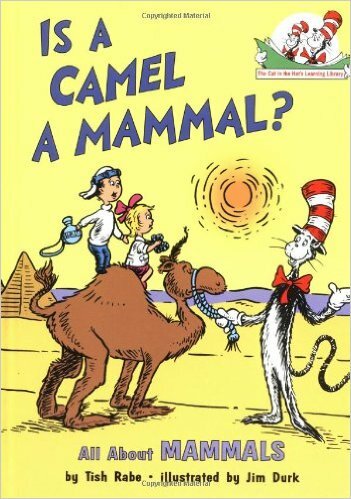 Is a Camel a Mammal? combines the classic rhyme schemes and characters of Dr. Seuss with simple facts about several animals. Bulldozer loved this book more than any other throughout this unit. Princess loved reading it out loud too. This is NOT a Seuss original, but it meets that high standard and is sure to be enjoyed by kids of all ages in your home too. Oh, and SPOILER ALERT, it turns out that a camel is indeed a mammal. This is a fun read. National Geographic Book of Mammals is designed for the true animal aficionado. Dinomite, our resident expert, gives it his highest accolades: He's been reading it nonstop. Does 600 pages, jam-packed with photos and facts about more mammals than you have ever heard of, sound like you're idea of fun? Then this book is a must have. There is a tremendous amount of information here, but thankfully, this book is just as enjoyable in 5-minute "snippets" of time as it is during a "deep dive" reading session. Beginning readers who may stumble on the dense vocabulary will enjoy the amazing photography and informative inforgraphics included here. National Geographic is the best in the business when it comes to these kinds of books. so this is a great place to start. 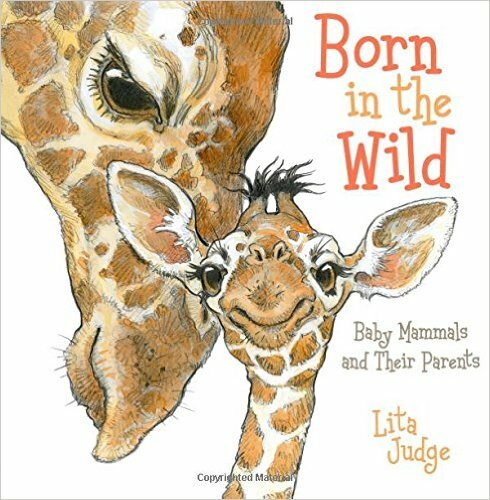 Born in the Wild: Baby Mammals and Their Parents is unique among nature books for children in the way it approaches the subject. 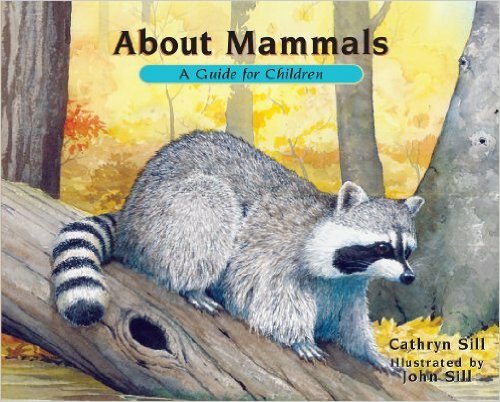 This beautifully illustrated book provides the reader with numerous examples of nurturing behavior and instincts displayed by many mammal species. By focusing on the special bond between parent and infant in many mammal species, young readers can recognize the similarities between these animal families and their own family, while enhancing their knowledge and appreciation of the diversity of the mammal kingdom. 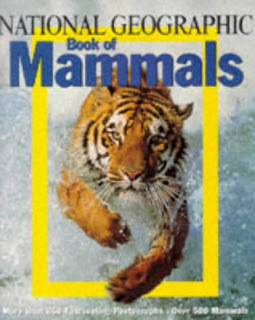 DK Eyewitness Books: Mammal is the "minor league" version the National Geographic book discussed above. 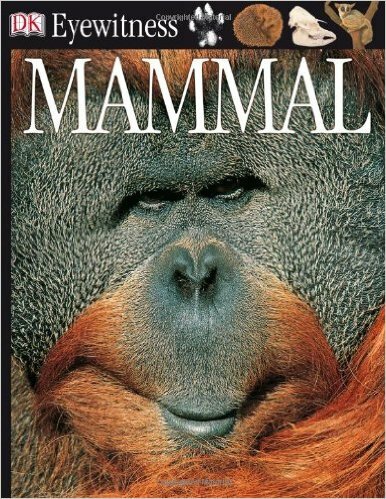 It is just as informative and visually appealing as that other volume, but much slimmer (around 70 pages) and more like a broad overview of mammal characteristics in general, with much less emphasis on species-specific information. Readers who enjoy learning about the physical characteristics of mammals (hair, fur, bones, etc.) and their environments will easily immerse themselves in these pages. 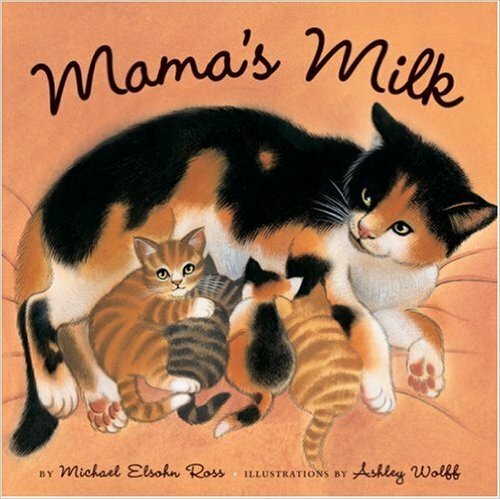 Mama's Milk focuses on the most distinctive mammalian trait: nursing infants with mother's milk. Told via simple rhymes and warm, colorful illustrations, this book is suitable for very young children, because of the soft-focus approach on a potentially thorny subject. For such a fundamental topic, I am unaware of many books for children that are about the way mammals (including humans) feed their babies. This is fun to read aloud to a snuggling toddler. 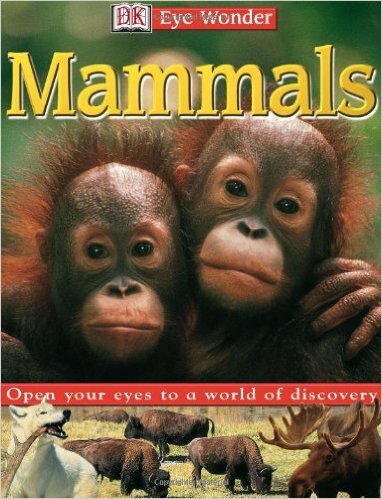 Eye Wonder: Mammals is another excellent fact-filled volume designed for younger readers. The focus here is on mammal species in their natural habitats. A nice supplement to a geography study, this thin volume is packed with amazing photographs of all sorts of mammals and incredible landscapes. 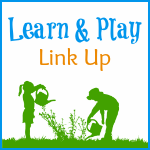 A great alternative for early readers who still enjoy immersing themselves in the world of natural science. 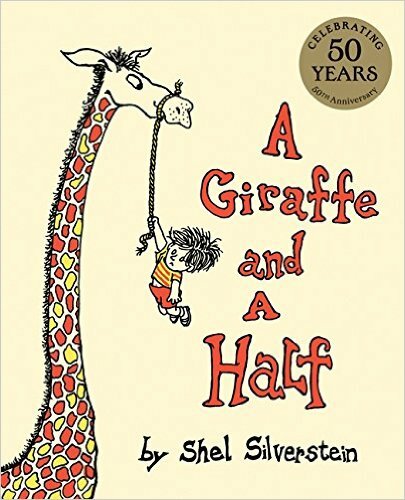 A Giraffe and a Half is one of the earliest published works of beloved author Shel Silverstein and might be the best way to introduce his works to your children. It is short and sweet, (really just one long poem) and one of the funniest things he ever wrote. 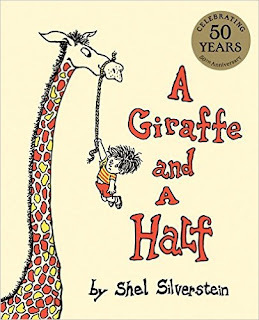 Like most of Silverstein's work, this one features delicious word-play, charming illustrations and simple charm. Princess giggled her way through this from the first page all the way to the end. 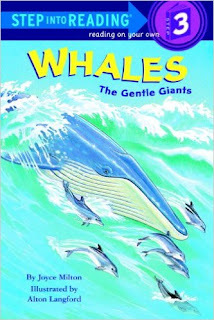 Whales: The Gentle Giants (Step Into Reading: A Step 2 Book) is an easy reader book that focuses on the always fascinating whale family. This one stands out because it touches on the history of human-whale interactions, and how that relationship has changed over time. It also benefits from some nice vocabulary building text, striking the balance between engaging the reader with the story and challenging them mildly with word choices. A good for read-aloud practice. Princess read this two or three times this past week. About Mammals: A Guide for Children (Revised Edition) engages young readers with its beautiful illustrations and simple text while invoking further exploration and curiosity about these creatures. There is a great emphasis on the diversity of the animal kingdom on display here and some nice informative pages towards the end with more information about each species featured in the book. 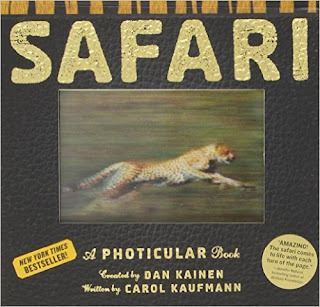 Safari: A Photicular Book is a refreshing change of pace, given the vast amounts of fact-heavy books that adorn our reading shelf anytime we study animals. If you are unfamiliar with the Photicular technique, this is basically a way to make the images in the book appear animated, making the animals appear to literally leap off the page. The Safari volume features some of the most well-known mammal species in full motion, from a stalking lion to a leaf-chewing gorilla. While somewhat light on textual information about the animals, this book is a visual treat that pairs well with the more intensive, fact-filled volumes the kiddos studied for this unit. The kiddos seem to appreciate the diversity of books we make available to them, from poetry to picture books to encyclopedias, no matter what the subject matter. They each have different learning styles and preferences, as you can see from the variety of books we used for this unit. 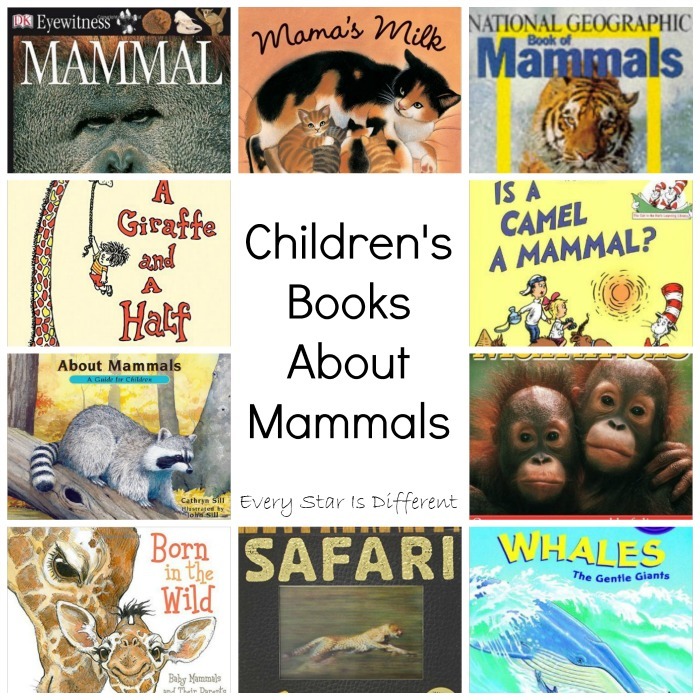 I hope you discover some new favorites as you check out these books for inclusion in your next animal/science unit. For those who don't know, I LOVE book lists! If I see one pop up in my feed on Pinterest or facebook, it's guaranteed that I will look at it and most likely pin it for future use. I am ALWAYS looking for books for my kiddos. They love books. And if they love books, I love books. 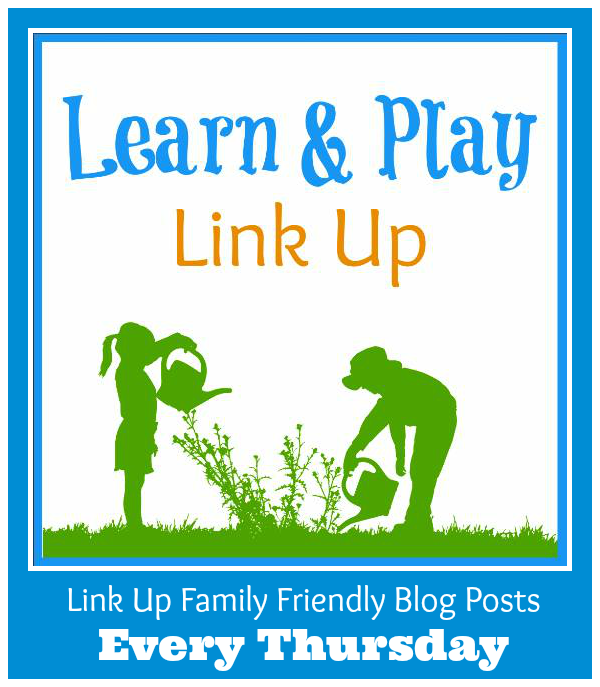 It was only natural to feature book lists this week as I saw several show up in the Learn & Play Link Up. What a great round up of books. There are a few of these that we have not yet read; which is pretty amazing considering all the animal books my middle son reads! What a collection! Love it! 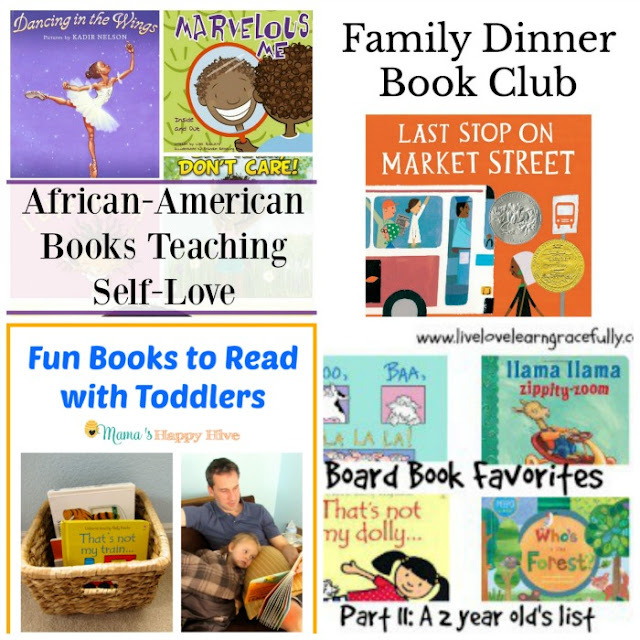 We love so many of these books!